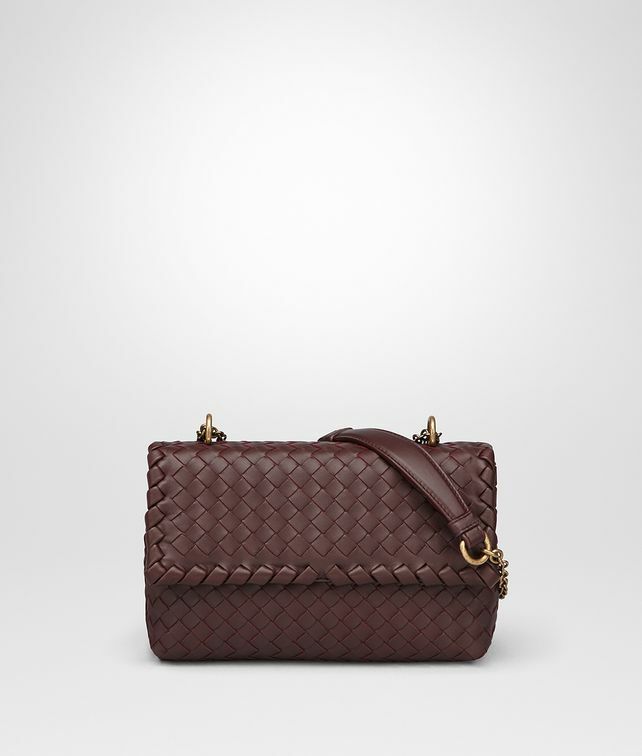 Compact version of the iconic Olimpia, this mini bag is entirely crafted in soft Nappa Intrecciato. The long cross-body chain strap has an elegant dark-gold finish and can be doubled over to carry the bag on the shoulder. A zipped partition divides the suede-lined interior into two handy compartments, making it easy to organise all you need to take with you. Strap drop: maximum 60 cm | 23.6"